When you visit our Orange periodontal & implantology office, your dental health is our top priority. 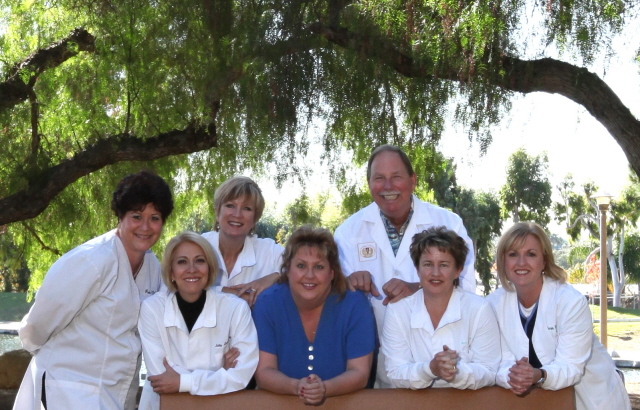 Dr. Richard Parris and his team have been serving the communities of Orange, Anahiem Hills, Brea, Villa Park and Garden Grove for over 20 years, and are dedicated to providing you with the personalized, gentle care that you deserve. Dr. Parris specializes in the treatment of gum disease, soft tissue reconstructive plastic surgery and the placement of dental implants. If your gums are sensitive, bleeding, or appear to be receding, or if you are missing one or more teeth, give Dr. Parris and his team a call. They are specifically trained to help patients just like you. We genuinely hope this site is helpful to you in learning more about our Orange, California periodontics and implantology practice, dental conditions and treatments, dental recommendations, and more. Please browse through our website and be sure to give us a call if you have any questions or would like to schedule an appointment. Click Here to schedule your appointment online. Orange Periodontist, Dr. Richard Parris is dedicated to Periodontics such as Periodontal Disease Diagnosis & Treatment, Bone Grafts, Crown Lengthening, Dental Implants and more.